Forbes is the latest big-brand content player to try to compete with ad networks by getting in the game itself. The risk in this move is it may erode the Forbes’ brand. We’ve noted that the problem with big brands online is their advertising results — you know, the number of people who actually click through the banner ads, the thing that marketers pay for — tend to pale compared to ad networks. Online ad networks are groups of hundreds of web sites that provide incredible targeting, by tracking your behavior across each site and then tailoring ads based on what you’ve been reading. If you make $150k per year and just perused a series of car reviews, an ad network will begin serving up Jaguar banners. Because you’re in the market for a car, you may bite. Big sites can’t watch this online behavior at other web sites, so when you walk into their world, they have difficulty personalizing ads. This in turn hampers ad results, and advertisers suddenly don’t find a big brand site very attractive. Now, Forbes has launched Business and Finance Blog Network, a group of 400+ blogs that extends its tracking reach online. The irony of all this is it may erode the Forbes brand. If users get comfortable obtaining expert financial advice and news from hundreds of blogs, traffic at Forbes.com may start to spiral downward. As Forbes follows the dynamic that makes online advertising work — users surfing around sites — it may point readers away. 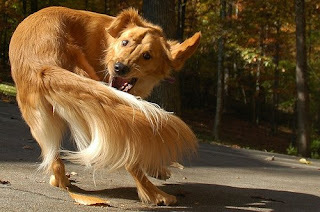 Good luck chasing that tail. Seth Godin teases with a slow reveal of his new book “Meatball Sundae,” pointing to the undercurrent beneath all the blather about blogs and Borgs. In an economy where only three things really move — communication, products, and value — the revolution in communication media means the fundamentals of business must change, too. We like Seth’s vibe. Here’s our take. Treacy wrote that companies need to focus on the “discipline of market leaders” by either being best in product innovation, operations efficiency, or total customer solution. Pick a direction and go there, he said: This is why sharp ops companies can make calculators for less than the cost of a box of cereal. But Treacy was wrong. The world where a single focus succeeds is now over. Companies today need to do it all — be efficient (to compete in a world-is-flat market), innovate products (or Apple will eat your lunch), and meet the huge set of consumer needs (now hunting for you by the light of the Internet). Media fragmentation did not create the long tail of consumer demand; that’s always been there. But the media revolution is pushing every business down the slide to meet more and more fragmented, complex consumer needs. Seth’s metaphor is intriguing. In our mind, the meatball of org structure is rolling down the hill of demand, headed for the millions of users and browsers and creators and buyers who each want something different. Organizations can no longer focus just on operations, or products, or customers — they need to cover the entire spectrum above, because consumers are pulling demand to the right of the long tail. What’s for dinner, marketers? Whatever customers want.